150 recipes to ease painful symptoms and improve digestion! If you suffer with symptoms of IBS, you know that digestive troubles and pain can disrupt your day-to-day life. Fortunately, researchers have come up with a new treatment plan to help you control symptoms: a low-FODMAP diet. FODMAPs are a collection of short-chain carbohydrates that are difficult to digest and found in many common foods, like wheat, milk, beans, and some vegetables, fruits, and sweeteners. 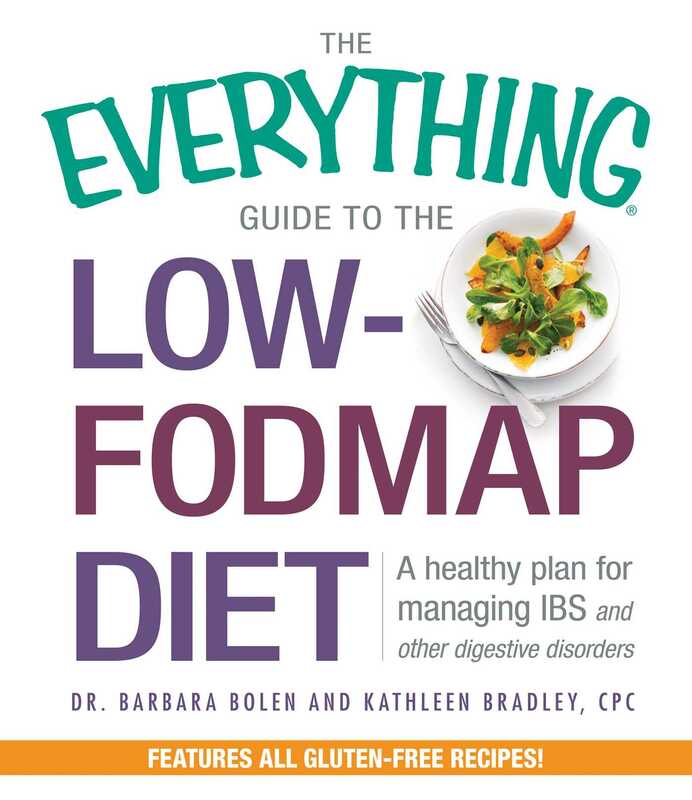 The Everything Guide to the Low-FODMAP Diet walks you through the step-by-step process for identifying your individual sensitivities--and gives you options and substitutions so you can enjoy your favorite foods again.